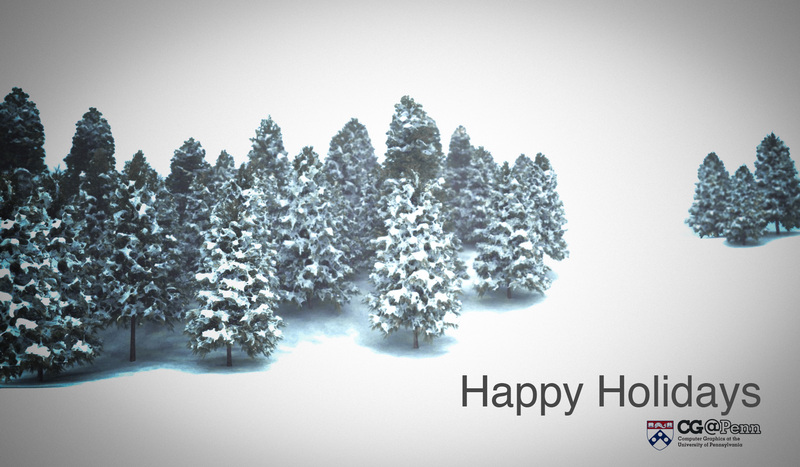 Two years ago, I was asked to create [email protected]’s 2011 Holiday Card. Shortly after finishing that particular project, I started writing a breakdown post but for some reason never finished/posted it. While going through old content for the move to Github Pages, I found some of my old unfinished posts, and I’ve decided to finish up some of them and post them over time as sort of a series of throwback posts. This project is particularly interesting because almost every approach I took two years ago to finish this project, I would not bother using today. But its still interesting to look back on! Since the holiday card had to be just a single still frame and had to be done in just a few days, I knew right away that I could (and would have to!) 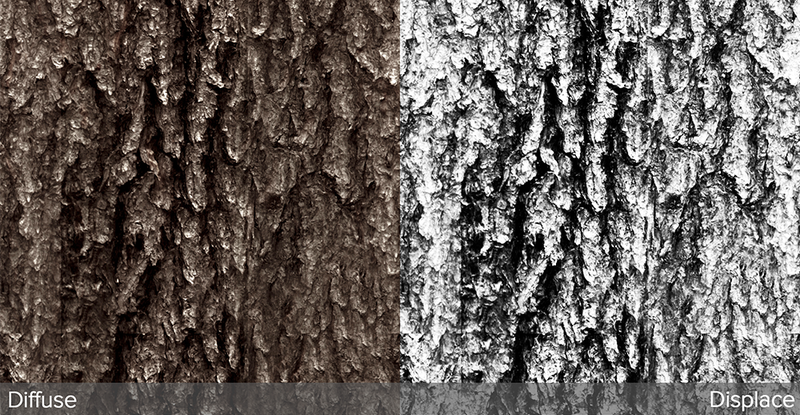 cheat heavily with compositing, so I was willing to try more unknown elements than I normally would throw into a single project. Also, since the shot I had in mind would be a wide, far shot, I knew that I could get away with less up-close detail for the trees. The base render is very blueish since the lighting setup was a simple, grey-blueish dome light over the whole scene. The shadows are blotchy since I turned Vray’s irradiance cache settings all the way down for faster rendertimes; I decided that I would rather deal with the blotchy shadows in post and have a shot at making the deadline rather than wait for a very long rendertime. 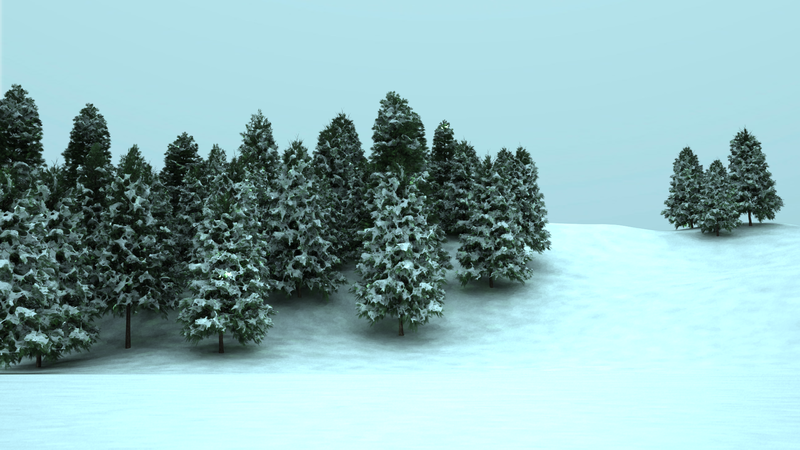 I wound up going with the thinner snow at the time since I wanted the trees to be more recognizable as trees, but in retrospect, that choice was probably a mistake. Looking back on this project two years later, I don’t think the final result looks really great. The image looks okay for two days of rushed work, but there is enormous room for improvement. 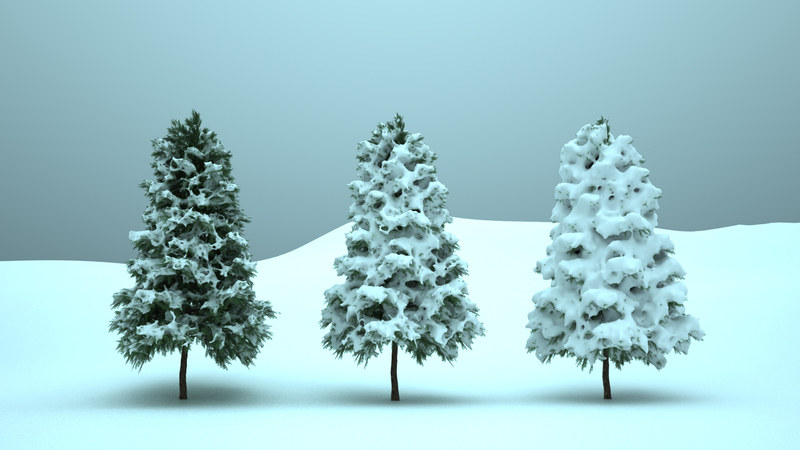 If I could go back and change one thing, I would have chosen to use the much heavier snow cover version of the trees for the final composition. Also, today I would approach this project very very differently; instead of ping-ponging between multiple programs for each component, I would favor a almost pure-Houdini pipeline. 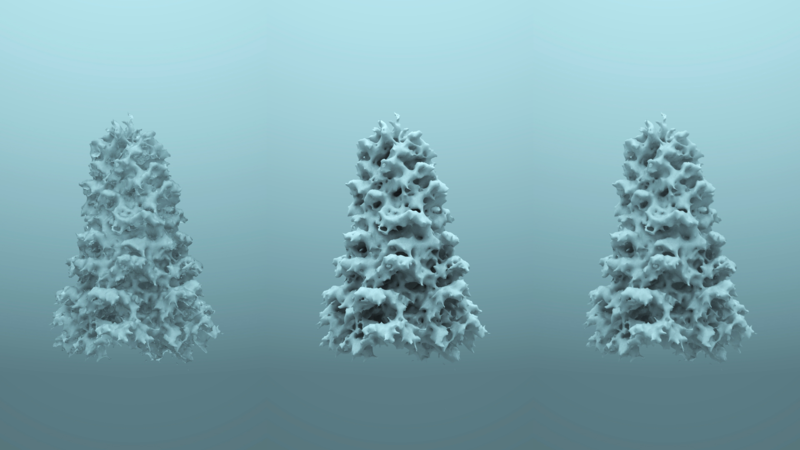 The trees could be modeled as L-systems in Houdini, perhaps with some base work done in Maya. 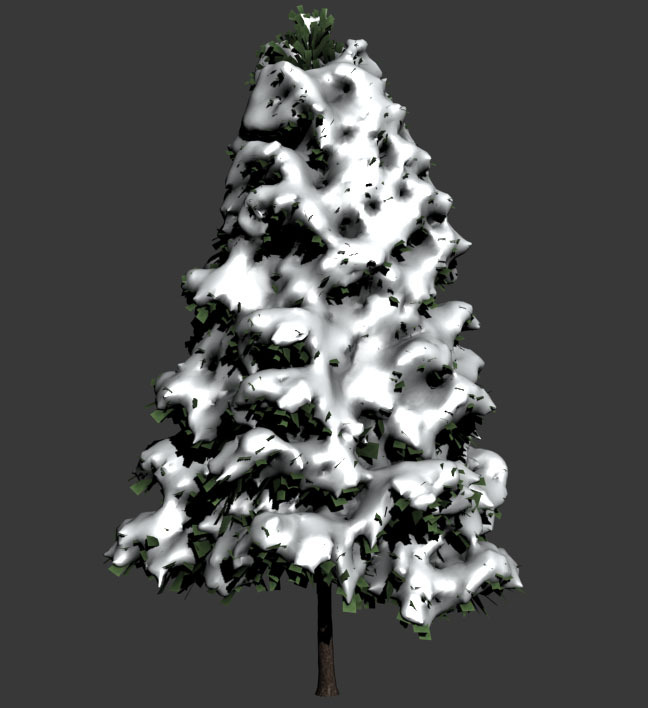 The snow could absolutely be simmed in Houdini. 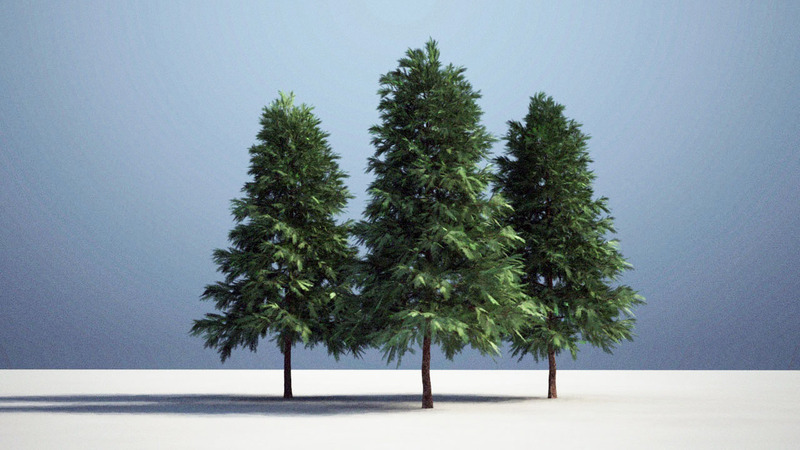 For rendering and lighting, I would use either my own Takua Render or some other fast physically based renderer (Octane, or perhaps Renderman 18’s iterative pathtracing mode) to iterate extremely quickly without having to compromise on quality. So that’s the throwback breakdown of the [email protected] Holiday 2011 card! I learned a lot from this project, and looking back and comparing how I worked two years ago to how I work today is always a good thing to do.